The Cotton Patch supply a variety of longarm quilting tools and accessories. We supply longarm quilting machine needles from Groz Beckert, m size bobbins, cloth leaders, pantographs and dedicated longarm rulers. Most of these products are not on display in our shop, please ask our staff for advice. 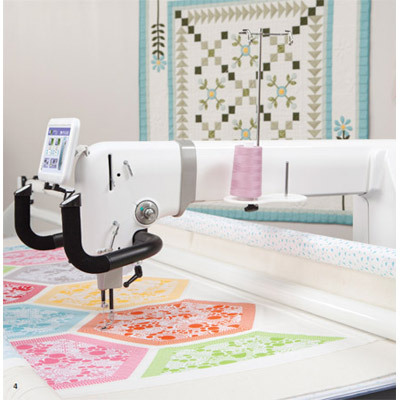 You can find our longarm quilting tools online.